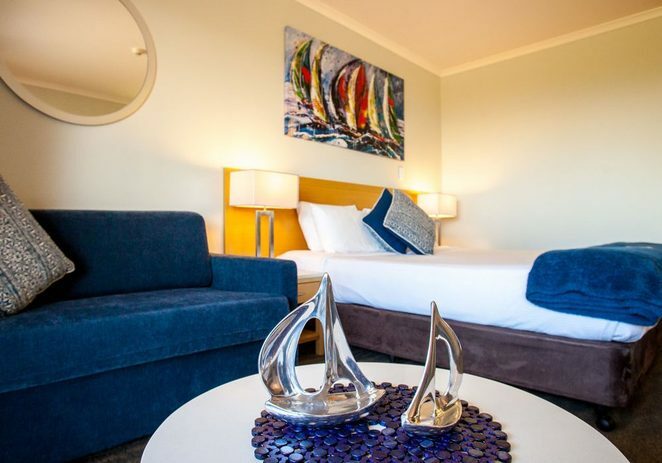 Nautical style features strongly as you enter the Manly Marina Cove Motel. It's very appropriate given the waterside location within Manly Harbour Marina and The Royal Queensland Yacht Squadron (RQYS), just 50 metres opposite. 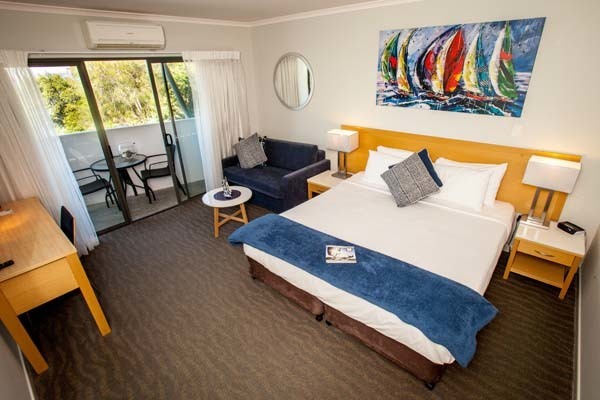 As Manly's 'Premier Boutique Motel', the interior befits the sailing and fresh Bay style of its setting with a pleasant modern interior design which is a welcome change from the functional style motel. 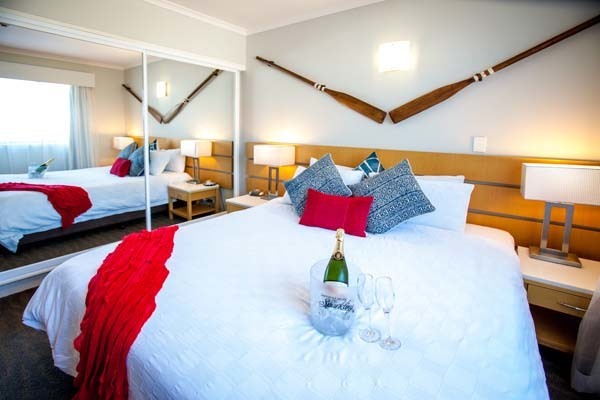 The 39 rooms - with bay and garden views – present a mix of studio and family rooms, a stylish Commodore Suite and disabled friendly rooms. Each of the stylish and spacious rooms features a king size bed which can be split into twin single beds. There's the obligatory flat screen TV with Foxtel and mini bar fridge and free WI-FI and parking. Breakfast is served in the dining room each morning with a plunge pool on hand to wake up after perhaps a walk along the foreshore or cool off after a busy day. 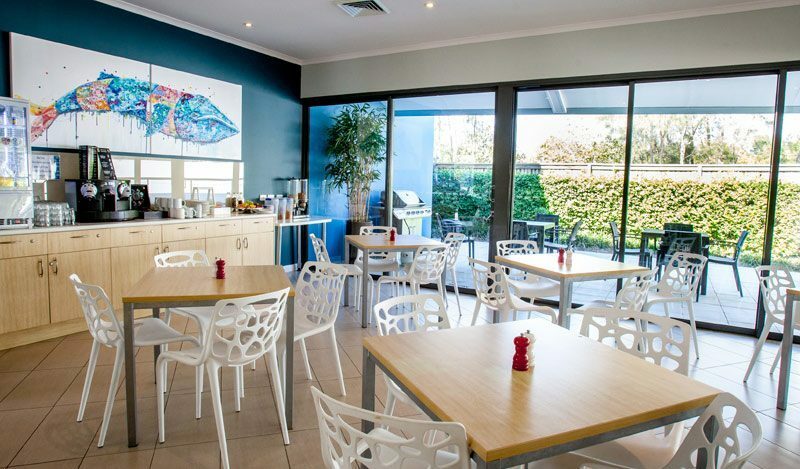 The two Disabled Friendly Studio Rooms (2) are purposely designed for limited mobility access and are rated 4 stars by RACQ AAA Tourism. The rooms are large and spacious allowing room to function with purpose-built features allowing easy access as is also the bathroom. 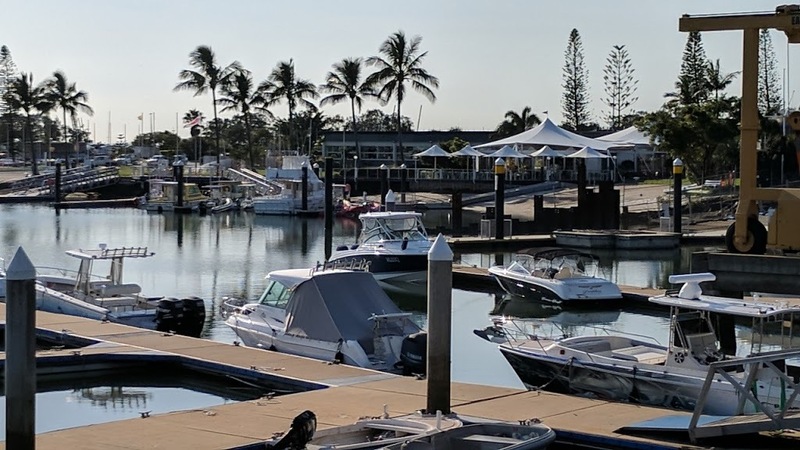 Guests enjoy temporary membership of Royal Queensland Yacht Squadron and have chargeback facilities at the many cafes and restaurants in Manly Harbour Village, a short and pleasant stroll along the marina. Manly Marina Cove Motel is a superb place to stay for a leisurely weekend or few days and is perfectly situated for the many sailing events with four main clubs based on the marina. And it's not just sailing that attracts visitors - it's a great location for business meetings or conferences - at RQYS, Port of Brisbane, Capalaba and Carindale – and is just 20 minutes from the Sleeman Aquatic Centre and Velodrome at Chandler. Watch the excellent YouTube video and go to the motel website for more information. 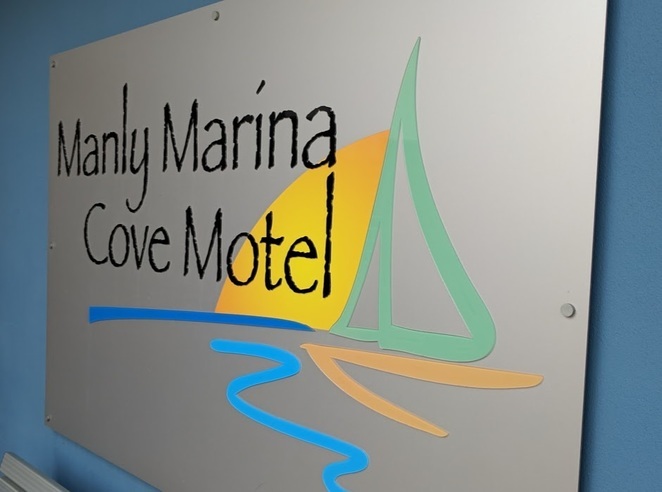 Manly Marina Cove Motel is situated at 578A Royal Esplanade, Manly.